Union Ministry of Human Resource Development has been left vexed due to the removal of Prof. N.S. Gopalakrishnan, an internationally-renowned expert in intellectual property rights, from the post of MHRD Chair Professor on IPR at Cochin University of Science and Technology (Cusat) by the University Syndicate. The decision has been viewed as being politically motivated. An order of the University Syndicate dated 30th July, 2013 had terminated his deputation and has asked him to join his parent department, School of Legal Studies, CUSAT without assigning any particular reason. His dual role as Director of the Inter-university Centre for IPR Studies and Professorship at School of Legal Studies was also challenged. The Cabinet delegation led by Chief Minister Oommen Chandy got a piece of mind from senior MHRD officials for removing Prof. Gopalakrishnan from the post. Live Law had earlier spoken to various academicians about the removal of Prof. Gopalakrishnan. Prof. K Mohan Kumar, member of the University Syndicate said, “I don’t agree with the decision of the Syndicate. Prof. Gopalakrishnan is an eminent person in this field and he has done extremely well at his office. I conveyed my disagreement to the syndicate. It is not fair to remove Prof. Gopalakrishnan from his post and this is a politically motivated decision. There is no alternative for Prof. Gopalakrishnan.” Read all responses here. This removal acts as an impediment to upgradation of CUSAT into an Indian Institute of Engineering Science and Technology (IIEST) under the 12 Five Year Plan. 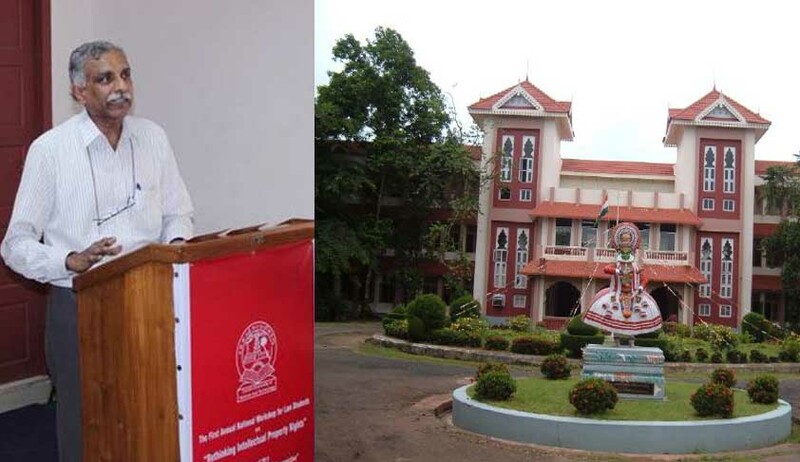 Sources close to Live Law had earlier indicated that if Prof. N S Gopalakrishnan is not reinstated as the Ministry of HRD Chair Professor at School of Legal Studies, CUSAT; CUSAT’s application is likely to be dismissed. Read the LiveLaw story here. Pai, in his letter to the Ministry of HRD, said, “The reason I am clarifying these facts is only to convey that I have not voluntarily resigned from the position of the Chair Coordinator or as an Assistant Professor of Law from NLU, Jodhpur. I have not voluntarily requested the University for relieving me of my services to the Ministry of HRD IPR Chair at NLU, Jodhpur.” Pai’s termination order can be read here and Pai’s letter to the Ministry of HRD can be read here. Prof. Shamnad Basheer along with other academics had even organized a protest petition regarding the termination of Prof. Gopalakrishnan and Prof. Yogesh Pai.